(1) 1pcs / inner packing, 48pcs / carton. 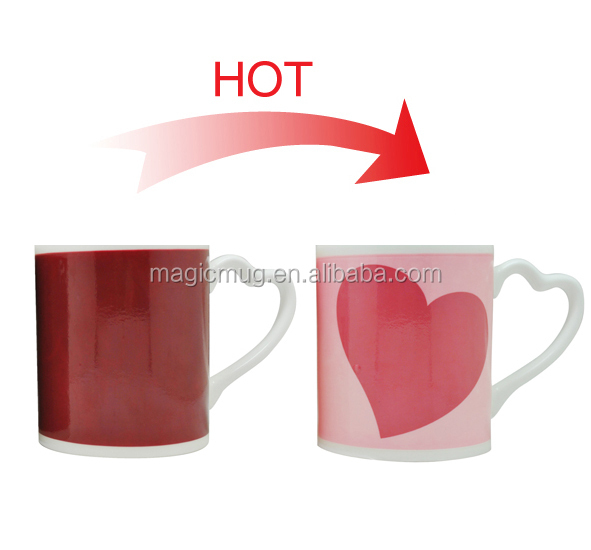 (5)Various individual gift box for each mug according can be providedto your requirement. 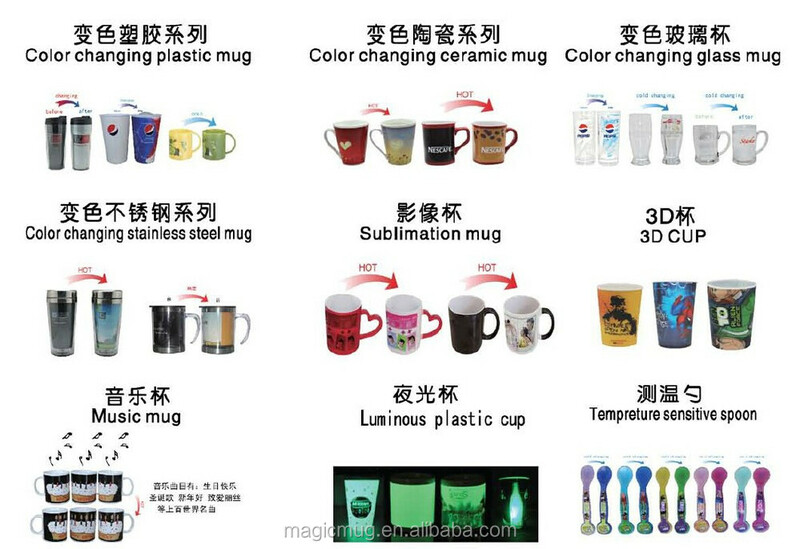 for coffee, tea ,milk ,beverage ,juice ,promotion,gift and advertising. (2)can pass SGS testing and offer FDA/CCIB/CIQ certificate. (3)can set up new printing according to your artwork. (4)can open the new mould according to original sample or technical drawings,lead time is 7 working days. (5)Payment Terms:T/T 30% in advance,70% before delivery. 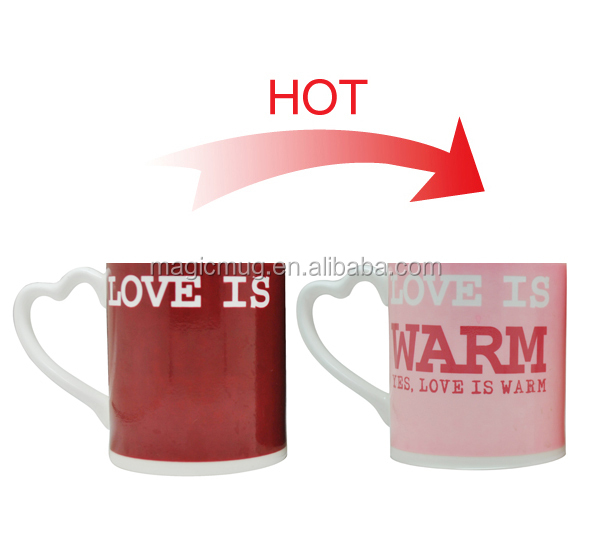 (6)Delivery Date:15--20 working days after receipt of payment. 1. Design A: create a picture for what you want to show after color changing. 2. 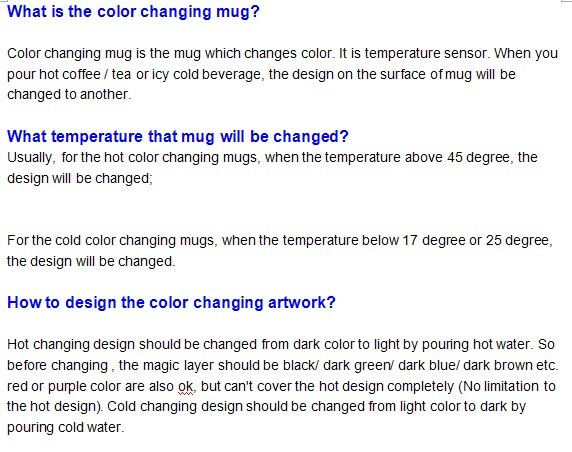 Design B: it is a picture printed by color changing material, used to cover design A. 3. Design C: when design B overlaps design A, parts of design A will be covered. It's design C, hich you see before color changing. 4. 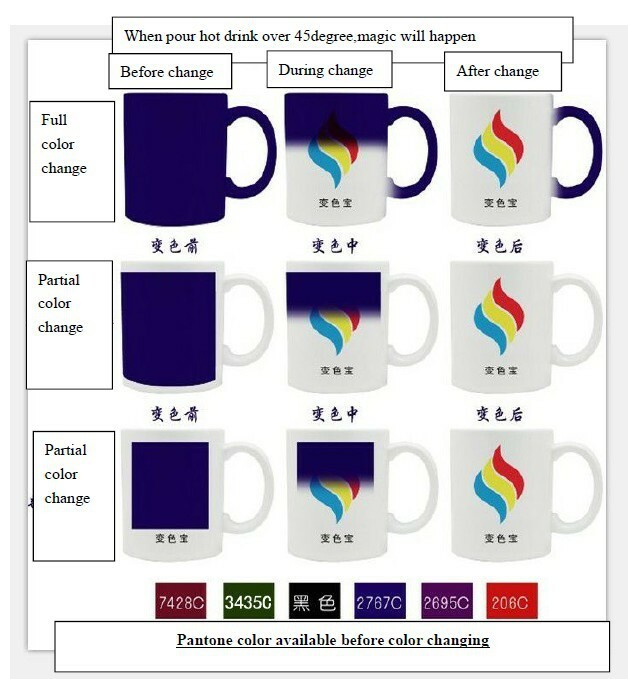 Color changing principle: the color changing materials become transparent when temperature above 45 ° C, then covered design will be shown up again. 1. more than 25 years experience. 2. 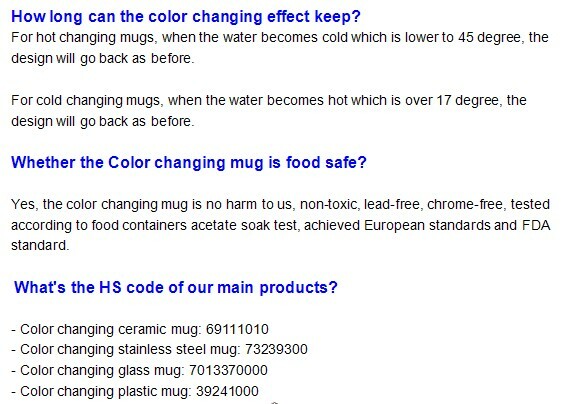 Our mug can pass the evaluation for European and American CIQ,SGS and FDA certifications. 4. 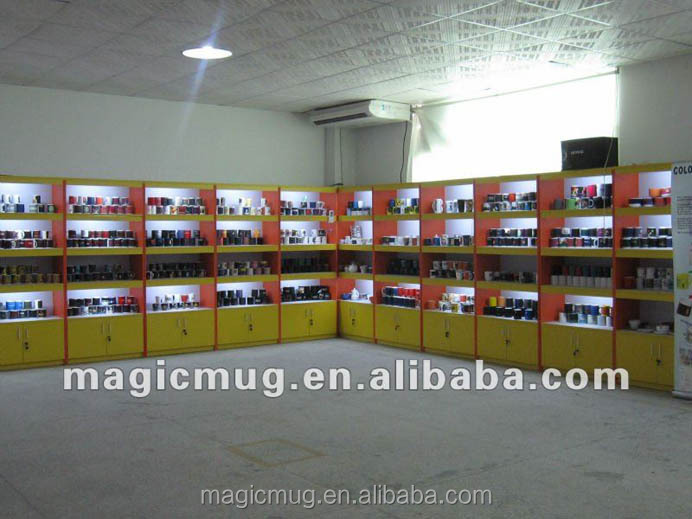 Strictly control the quality and Production Delivery on time.